LCWA and client the American Academy of Sleep Medicine (AASM) recently launched the Sleep Works 4 You campaign to educate employees and employers on the dangers of workplace fatigue, including tips on getting enough sleep to stay safe and remain productive. As part of the campaign, we held a Twitter chat last Monday – one day after daylight saving time, when employees are very likely to be especially fatigued due to the time change. In addition to AASM (@AASMOrg), participants included experts from the CDC (@CDCChronic), National Safety Council (@NSCsafety), National Institute for Occupational Safety and Health (@NIOSH) and Sleep Research Society (@ResearchSleep). Leading the discussion was moderator @AnitaBruzzese, an award-winning journalist, author and blogger specializing in career/workplace issues. 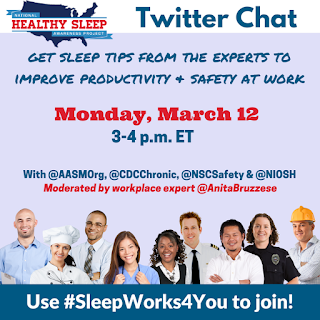 Followers of #SleepWorks4You received tips and information on the overall importance of sleeping seven or more hours, negative impacts of insufficient sleep on safety and productivity, tips for shift workers and discussion of the dangers of drowsy driving. With an esteemed moderator and experts from multiple prestigious organizations at the helm, the #SleepWorks4You chat was a success, reaching 1.6 million with 3.2 million impressions. 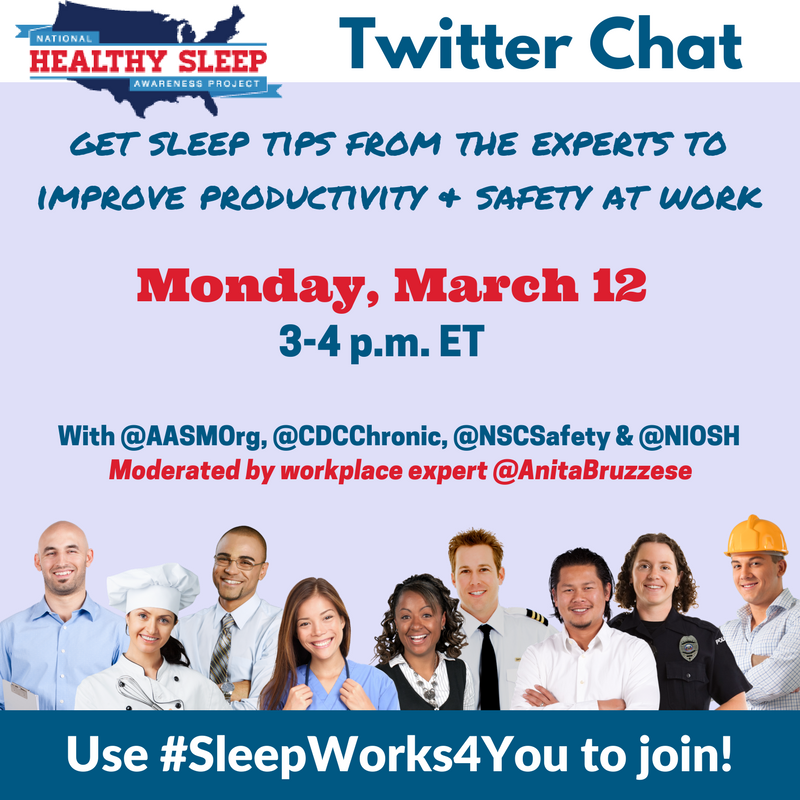 In addition, the chat engaged with numerous participants, leading #SleepWorks4You to become a trending topic during and after the chat. LCWA is proud to be a part of the National Healthy Sleep Awareness Project, which was initiated in 2013 and is funded by the Centers for Disease Control and Prevention through a cooperative agreement with the American Academy of Sleep Medicine. The project involves collaboration with the Sleep Research Society and other partners to address the sleep health focus area of Healthy People 2020, which provides science-based, 10-year national objectives for improving the health of all Americans.